On Monday, Windows announced the release of their newest version of their Visual Studio 2015 suite that now supports the OSX and Linux operating systems! Since its beta release in April, over 500,000 developers have contributed their code and feedback to create an IDE that satisfies the array of needs that developers must attend to in order to create custom applications for web, console, desktop, cloud, and mobile. The collaborative capabilities that the new VS2015 has to offer opens a new realm of possibility to developers through increased accessibility by offering support for different operating systems, ease of installation, porting existing code and projects into and out of VS2015, and more! 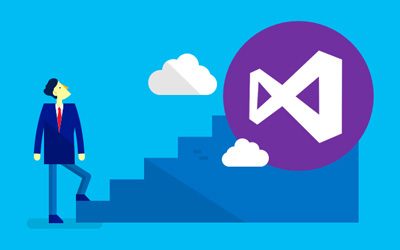 This newest Visual Studio release improves upon existing functionalities like diagnostics, deployment, and debugging, and introduces new ones to handle a wide array of programming languages while improving editing, refactoring, and creation of test suites. Microsoft’s openness to the developer community has been apparent through its increased support of new coding languages, new platforms, and increased usability from design to deployment. While this increased accessibility may dampen Satya Nadella’s vision of having Windows 10 on a billion devices, the power and leverage of having so many pertinent programming languages ported from an IDE that is so familiar will surely continue the success of Windows’ innovations.